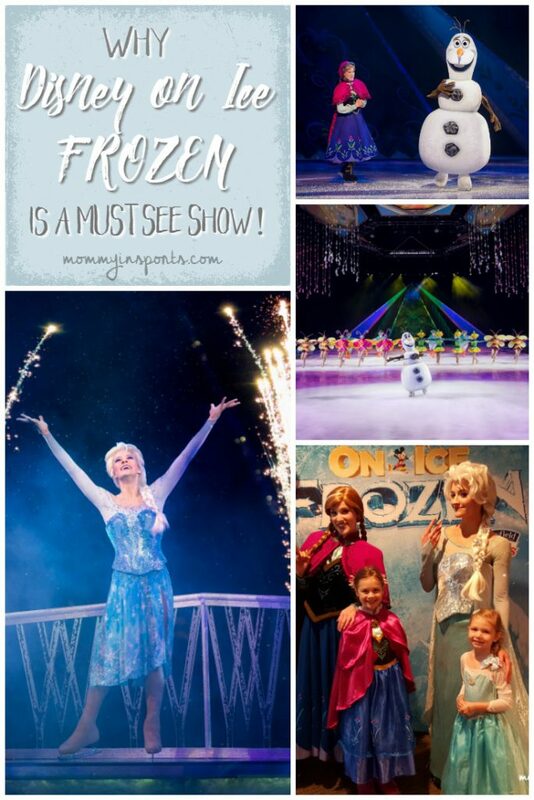 Been to several Disney on Ice shows and not sure if you want to take the kiddos to see Disney on Ice Presents Frozen? I wasn’t either. 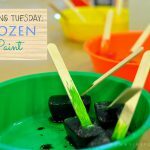 Even though we’ve had Frozen birthday parties, and our girls were Anna & Elsa for Halloween two years in a row, when they declared they were over Frozen a month ago I wasn’t sure if they want to go. We were lucky to be invited to opening night at the BB&T Center in Sunrise, FL, and the whole event was magical. 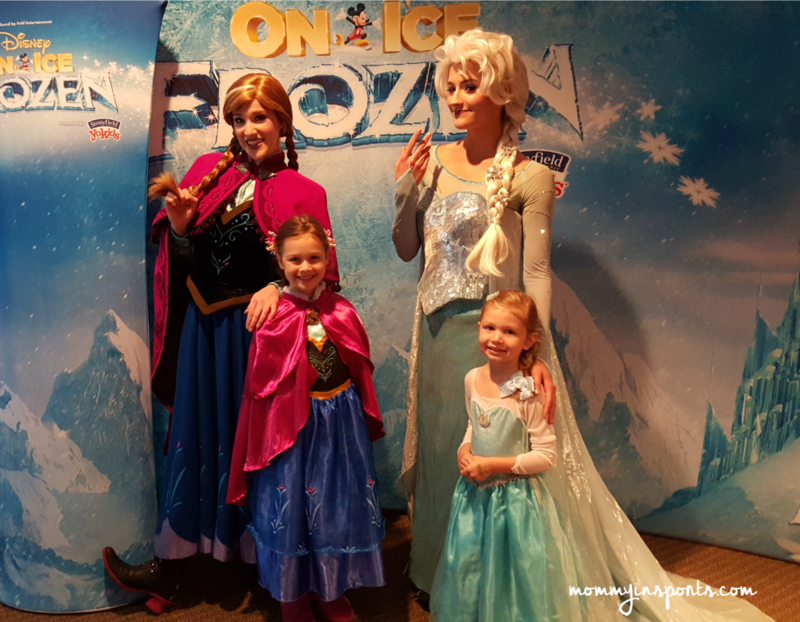 The girls were treated to a VIP experience where they would finally meet their beloved Anna and Elsa, and the performers didn’t disappoint. 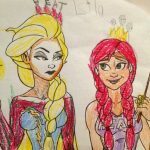 Of course our girls were a bit chatty trying to find out which Palace Pets Anna and Elsa would choose. Sad to say Elsa didn’t choose a polar bear. 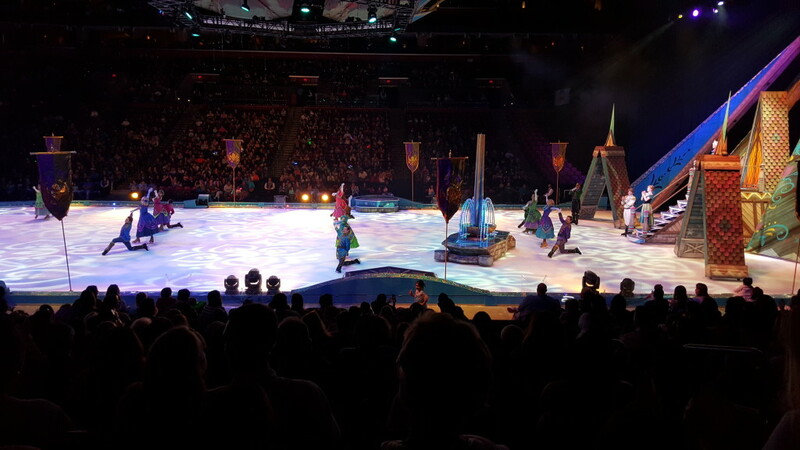 After the meet and greet we went to the Disney on Ice Frozen show, and it was mesmerizing from start to finish. The skating and choreography was really well done, and the “set” on ice was beautiful! 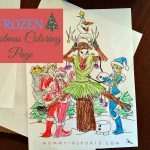 The girls loved seeing Olaf on ice, and he picked the perfect place to perform if he likes summer! 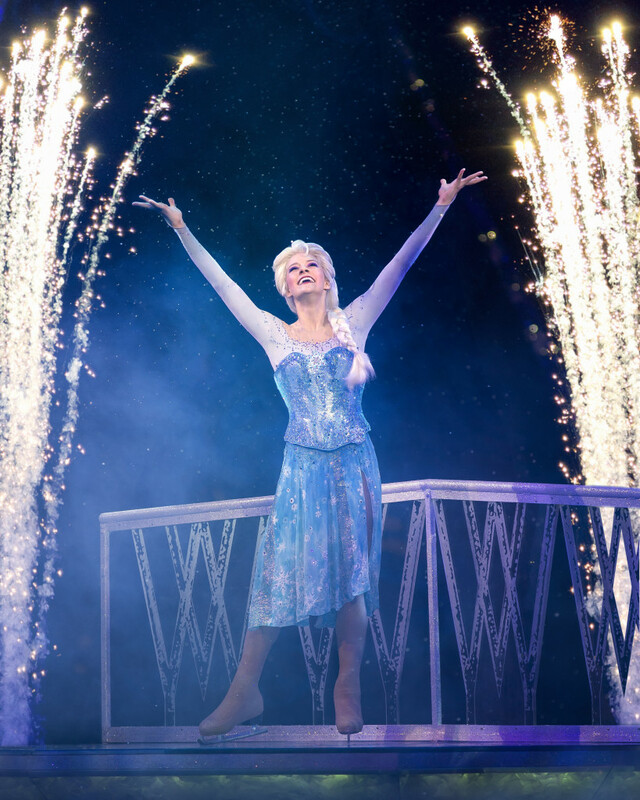 There were even several special effects including small fireworks during Elsa’s rendition of Let it Go. Normally with these shows being at 7:00pm our girls can’t stay awake and we have to leave at intermission. But this show left them breathless, and they absolutely had to stay and watch every single second of Disney on Ice Frozen. My favorite part was of course getting to spend this special time with our family. I normally get teary-eyed at Disney World, but hearing them sing their favorite songs reminded me how lucky we are to be parents. 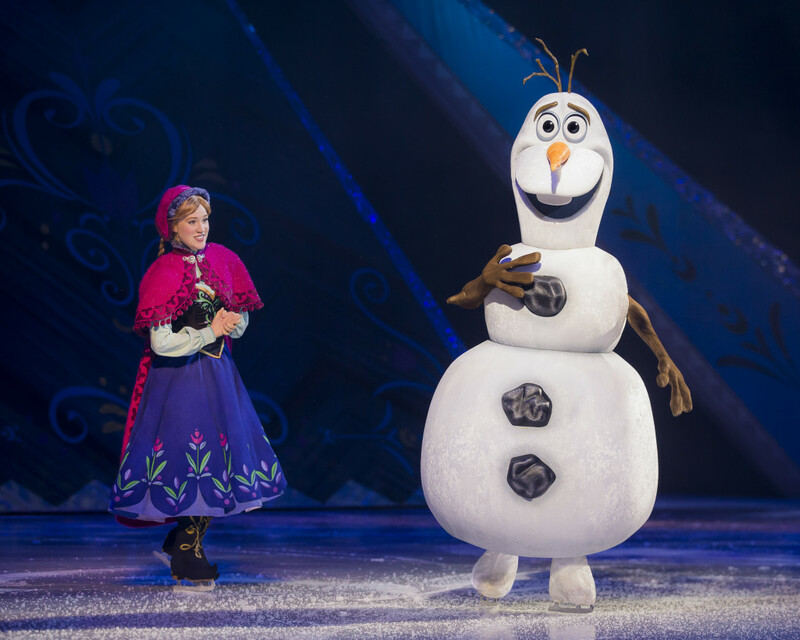 If you’d like to see Disney on Ice Frozen, don’t worry, the show will be in Miami all week from March 30-April 3, 2016. Hurry don’t wait…get your tickets now! 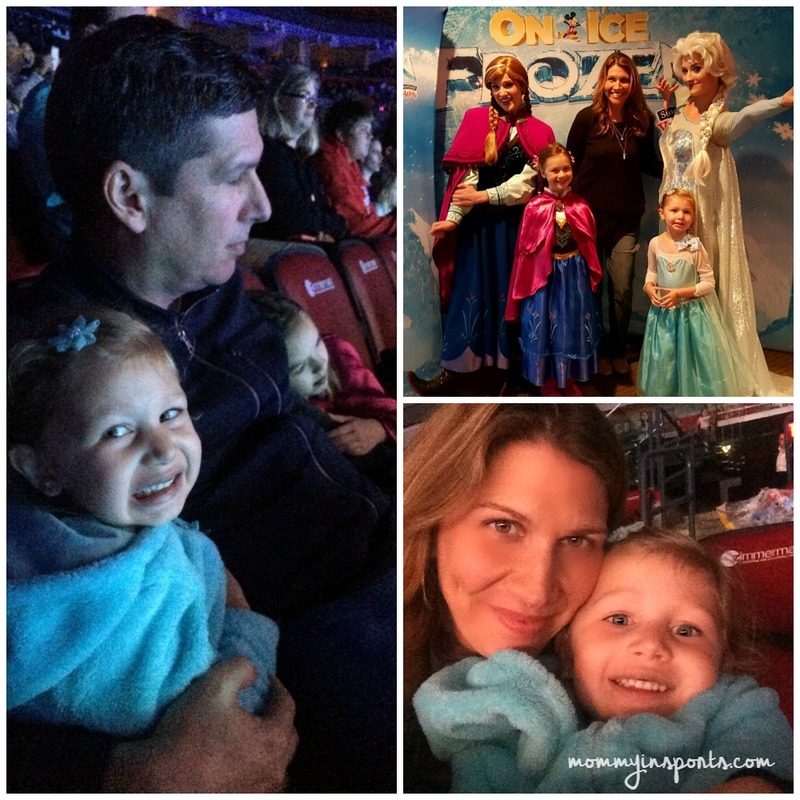 I promise it’s worth it, our favorite Disney on Ice show we’ve ever seen! 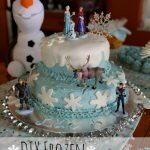 DIY Frozen Birthday Cake – yes you can make this cake! It’s magical! 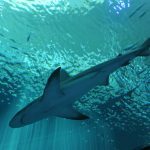 It was by us this weekend and our friends went. I was so sad we had missed it. I’m sure it will come back and we’re close to so many metro areas around here that I know for sure we’ll have our options. I totally agree with you, we have been to past shows.. but this one was really awesome! Mila LOVED it!! 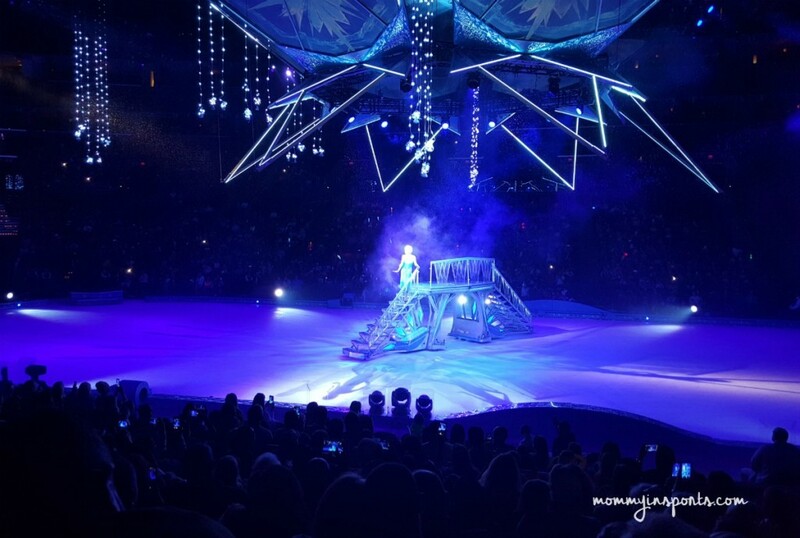 I can’t believe it, but we still have never seen a Disney on Ice show. Every time I go to look up the dates it seems like I just barely missed their appearances in our area. 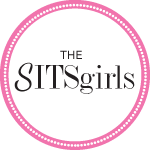 Looks like your girls had a blast! Looks awesome. Even Bob looks enthralled. 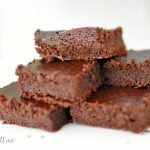 Love your pics, thanks for sharing. Feld does an amazing job adapting these stories.